This is a terrible picture but does anybody have an idea? At first it had me freaked out it was a tick but I am not so sure. 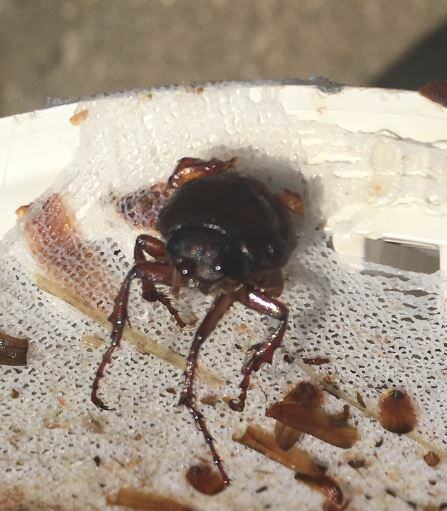 I have found a few of them in my pool skimmer. I'm guessing one of the stag beetles. No. That's not a tick. I'm thinking beetle as well. There's a whole group of "water" beetles that love swimming pools. Thanks, makes sense. We do get a fair number of beetles around here.